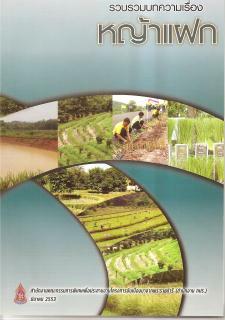 The Use of Vetiver Grass for the Prevention of Landslide Project is implemented in Nam Pat District, Uttaradit Province and Nopphitam District, Nakhon Si Thammarat Province. 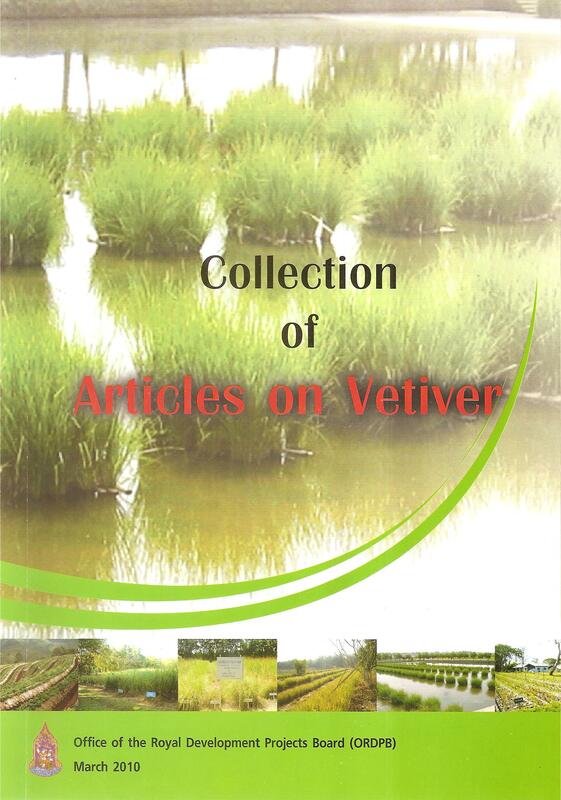 Vetiver grass has special characteristics in that it can penetrate deep down into the soil and strengthen soil surface while preserving soil moisture. 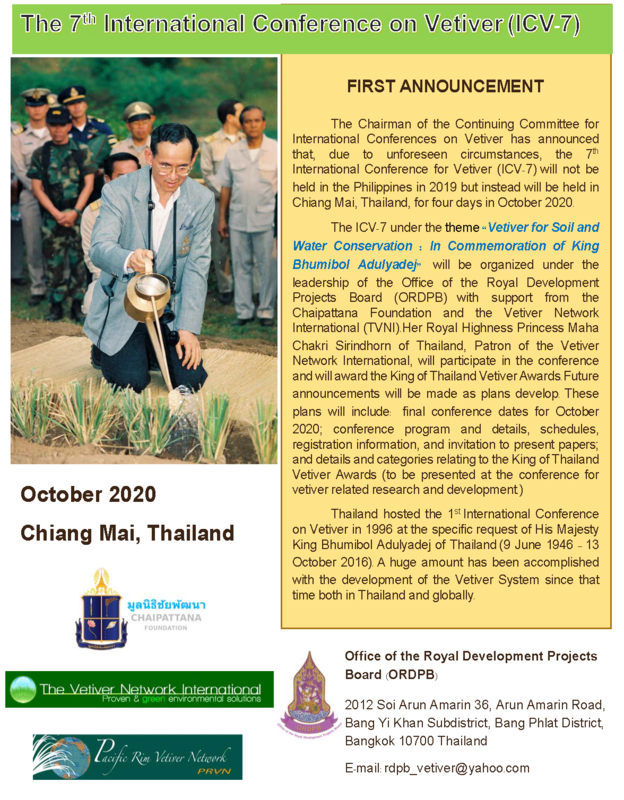 His Majesty King Bhumibol Adulyadej has then initiated the use of vetiver grass to prevent soil erosion and conserve soil and water. This results in the study and experimentation on the vetiver grass at six Royal Development Study Centres and other royal development projects. 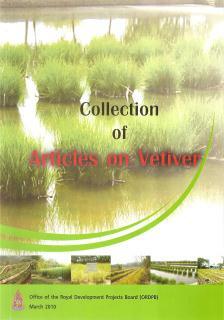 The study on the development and propagation of vetiver grass from seed aims at researches on seed propagation of vetiver grass in order to reduce cost in cultivating sprouts and in transportation as well as time in transplanting. 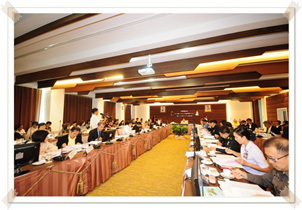 The study is currently conducted at Land Development Station in Rayong Province and the Royal-initiated Deteriorated Area Rehabilitation Study Project at Khao Cha-Ngum in Ratchaburi Province. 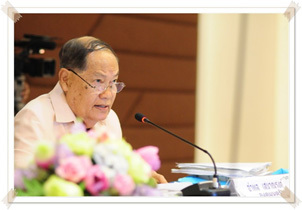 The budget for sub-projects under the Development and Promotion of the Utilization of Vetiver Grass According to the Royal Initiative is allocated in an amount of approximately 750,000 USD in the fiscal year 2013; for examples, the study and research on vetiver ecotypes at the Doi Tung (Implementation Area) Project in Chiang Rai Province, the Khao Hin Sorn Royal Development Study Centre in Chachoengsao Province and the Huai Sai Royal Development Study Centre in Phetchaburi Province. 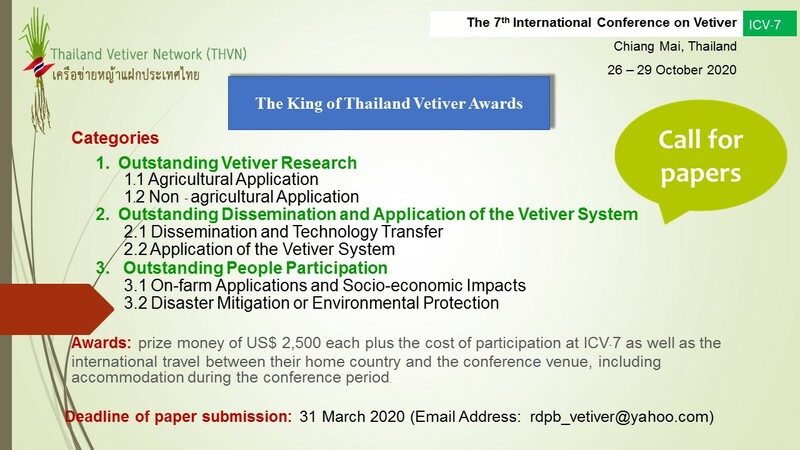 The organization of �Thailand�s We Love Vetiver Network Festival� is scheduled to be held on 21 � 22 June 2013 under the cooperation between the ORDPB, the Chaipattana Foundation, PTT Co. Ltd and the Land Development Department as an open ground for the exchange of ideas and experiences to put forward the implementation on soil and water conservation according to the royal initiatives among the public and private agencies and the general public. The 6th International Conference on Vetiver Grass in Danang, Vietnam is scheduled to be held in April 2015. The activities include plenary sessions, concurrent sessions, presentations, an exhibition, study visits and vetiver handicraft training. 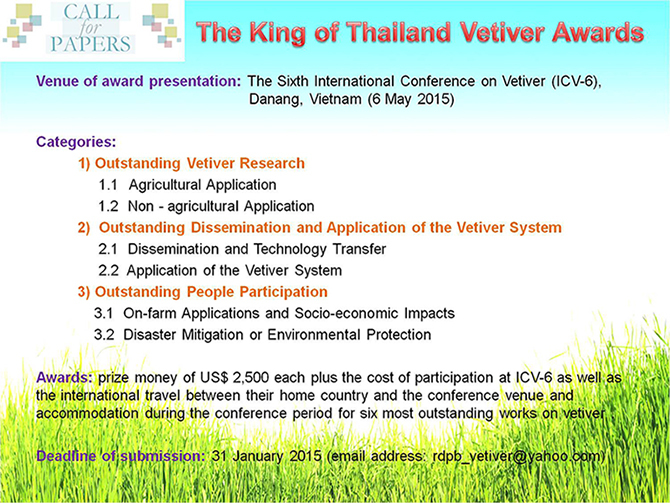 On this occasion, the distinguished papers on vetier grass will be given the King of Thailand Vetiver Awards. The must-have item and it's FREE !!! To get them for free, simply send us an e-mail at rdpb_vetiver@yahoo.com indicating the language version, the number of copies and your mailing address.